Just over an hour (by car) south of the capital of Queensland, Brisbane, Sunshine Coast and around, the Australian east coast. Sub-tropical region bathed by the waters of the South Pacific, is warm and sunny all year, with mild winter. Summer days with sporadic rains; Winter is dry. Average summer: 21 º ~ 29 º C. Average winter: 10 º ~ 22 º C. Water Temperature: 25 ° C summer / winter 19 º C.
Brisbane; Sunshine Coast; Whithsundays; Surfers Paradise; Noosa Heads; Coolangatta; Tweed Heads; Rockhampton; Mackay. Broadwater (cruise); Surfers Paradise (channels); Warner Bros. Studios; Sea World; Broadbeach; Paradise Country (park); Aussie Country Down Under; 74 islands Withsundays; Trails in native forests. To live well and eat well. Land of entertainment with theme parks, high gastronomy and magnificent restaurants. Gold Coast is the “all day and all night party” at beach. 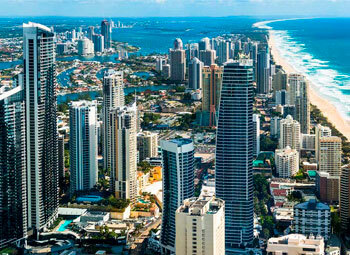 In the central part of the city with the beach just ahead, you will find the stunning Surfers Paradise and Broadbeach, and international hotels, restaurants and nightclubs. 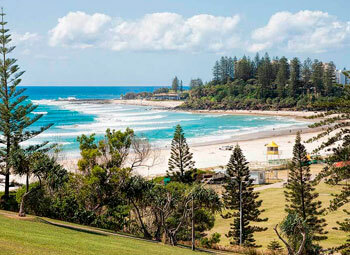 Coolangatta and Tweed Heads are the twin towns, with fabulous sports clubs, amazing semi-deserted beaches, picturesque farms and national parks. The green area of the region is Hinterland, well known for its subtropical forests, waterfalls, hiking trails in the woods, hostels, campsites, art galleries and motel style inn-farm. The wildlife parks throughout the region, exhibit many species of Australian fauna, such as Currumbin Wildlife Sanctuary, David Fleay Wildlife Park, the Pioneer Country, Paradise Country Aussie Country and Down Under. Gold Coast also has several theme parks like Warner Bros, Movie World, Dreamworld, Sea World, Wet 'n Wild Water World and Cable Ski World, including some exciting things typically American with a fully Australian touch. 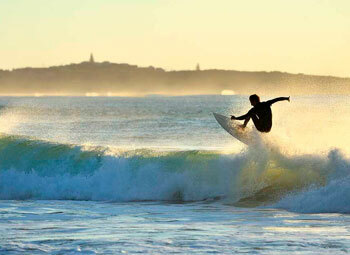 The exciting scenario of Gold Coast offers plenty of events throughout its annual calendar, ranging from motor sports and surfing, jazz and even horse racing. Besides all this, the city is a popular destination for shopping, with department stores and interesting galleries. The nightlife in Gold Coast is intense and striking, where you can find some of the best chefs working in the largest collection of restaurants per square meter in Australia. 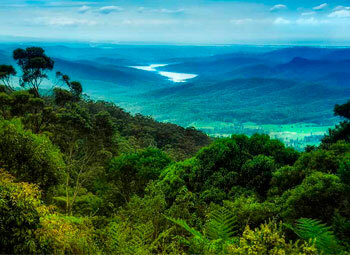 Finally, the region is only 75 minutes from Sydney by plane and 1 hour drive from Brisbane. So if you are in Australia do not forget that Gold Coast is more than a mandatory stop. Also visit the Sunshine Coast, an hour drive north of Brisbane, with a number of beaches that begins at Caloundra and includes the towns of Noosa Heads, Maroochydore, Mooloolaba, among others, and Withsundays, located in the central Great Barrier Reef - Barrier Reef.